We are serious about ancient beads, and have a large collection which my partner, Bruno uses to compose striking necklaces which are eminently wearable. We study bead history, and often comb the web looking for images and information. 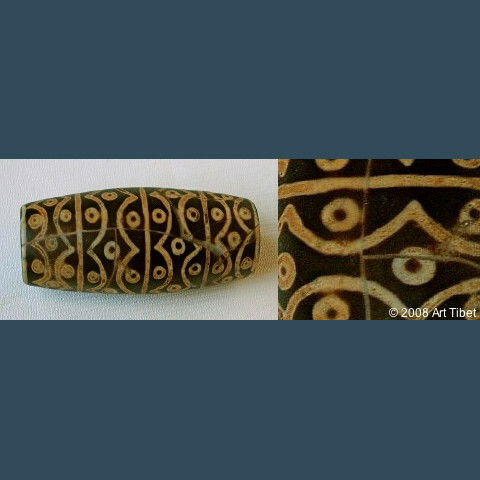 Today I found an extraordinary ancient natron-etched Dzi bead that has just been added to the Asianart.com space of Art Tibet. Not only is it remarkably beautiful, it is remarkably large as well, at 13 cm. This is more than just a bead; it’s a powerful and iconic work of art.